"I think it's horrifying and outrageous." On CNN's "Reliable Sources" Sunday morning, Gretchen Carlson summed up how a lot of people felt about the latest revelation involving Bill O'Reilly and sexual harassment allegations. The New York Times reported on Saturday that O'Reilly paid $32 million to a Fox News colleague who threatened to sue him for alleged sexual misconduct. The settlement was struck in January. It was supposed to stay secret. Weeks later, Fox News renewed O'Reilly's contract, reportedly worth $25 million a year. Fox says it knew about the existence of the settlement, but not the price tag. Twitter and Facebook lit up about the jaw-dropping payment. "Nobody pays $32m for false allegations - nobody," Carlson tweeted. Joy Reid of MSNBC commented: "Let me guess: you just had $32 million lying around and decided to give it to a nice lady you totally didn't sexually assault." O'Reilly told the Times he never mistreated anyone. But in the wake of the new report, Fox is coming under fresh criticism for a "look the other way" approach to possible wrongdoing by TV stars. "This deal really looks bad," Baltimore Sun media critic David Zurawik said on CNN's "Reliable Sources." O'Reilly was only fired after there was blowback from another Times story -- a months-long investigation that revealed previously secret settlement payments to other O'Reilly accusers. The story came out on April 1. O'Reilly denied wrongdoing, but Fox opened an investigation and companies yanked ads from his show. Within weeks, he was replaced by Tucker Carlson. O'Reilly didn't go quietly. He said the accusations were part of a plot against him, and he vowed to expose the truth. He invested his time and money into a nightly podcast. And he sought a new job on TV. 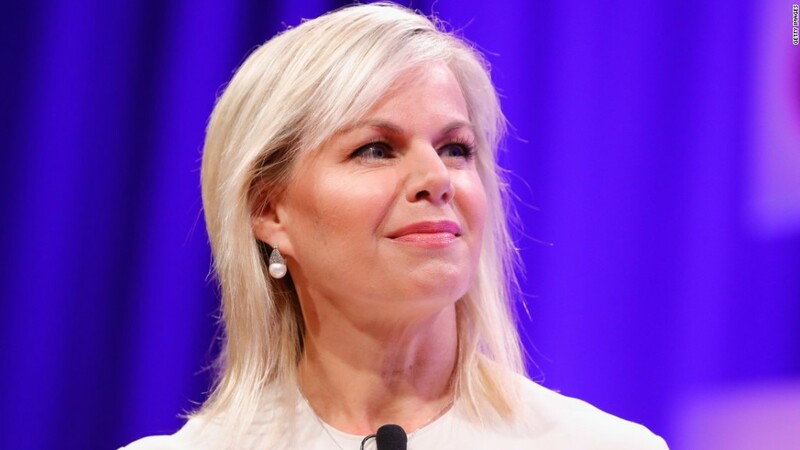 Related: In this exclusive web video clip, Carlson speaks with CNN's Brian Stelter about the day she sued Ailes and how her life has changed. While on a book tour in September, O'Reilly made his first appearance back on Fox since his ouster, sitting down with his former rival Sean Hannity on Hannity's prime time show. Carlson was critical of that appearance during an interview on "Reliable Sources" on Sunday. "I think it's horrifying and outrageous that any company, after dismissing somebody for allegations such as that," would "allow that person to come back on the air," Carlson said. Carlson, a former Fox News anchor, was careful not to mention O'Reilly by name. She sued her former boss Roger Ailes last year, alleging harassment and retaliation, which triggered a chain of events that caused him to resign. Later, she signed a settlement agreement with Fox worth $20 million, and the agreement limited what she can say publicly about the network. But in the interview on Sunday she identified a problem with the "corporate culture" at Fox and said similar issues exist at other companies. She cited the Weinstein Company as an example. "This is covering up, this is enablers, this is shutting up the victims. And I think it's absolutely horrifying that we've allowed this to go on for so long in our corporate culture." Earlier in the week Carlson released a book, titled "Be Fierce," about sexual harassment in the workplace. "We are on a movement to speak up and be heard, and there's no turning back for women in the workplace," she said.